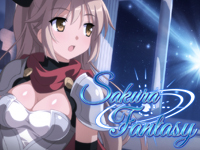 Sakura Fantasy is an exciting visual novel fantasy adventure where you decide the development of the story by the choices you make. It is the tale of an aspiring novice who wishes to aim to become a knight. Her life suddenly changes when she meets the mysterious empress and a burning star falls from the heavens. Ну так норм конечно без русского но мы же ангичяне прираждённые нам англ родней . Сарказм для не до понимающих хотя кто поймёт русский язык .